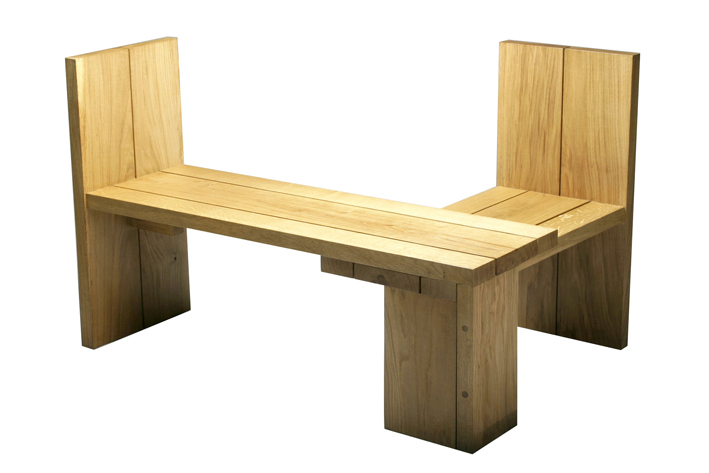 An L Shaped bench made from sustainable European Oak. 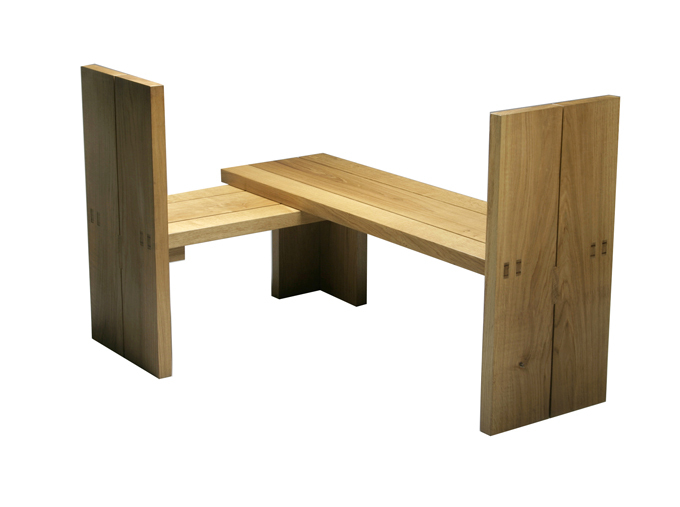 The bench is constructed using traditional joinery techniques. Each board is joined using oak dowels to allow for movement and the back has visible wedge joints. Each part is dependant on the other for support and the bench can be laid upon, sat upon or shrunk.